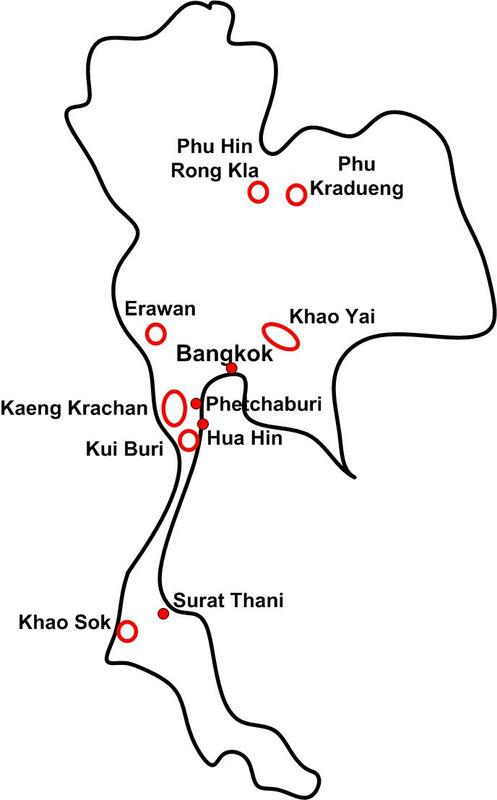 Thailand has many National Parks, Wildlife sanctuaries and protected areas. Close to Bangkok you’ll find Khao Yai national Park. The Khao Sok National Park full with water streams and lakes is also very famous. The islands Koh Samet and the Similan islands are also declared a National Park. As with National Parks around the world, public transport is very limited in these remote areas. So please be advised to go to these national parks by a booked tour or with a rented vehicle. 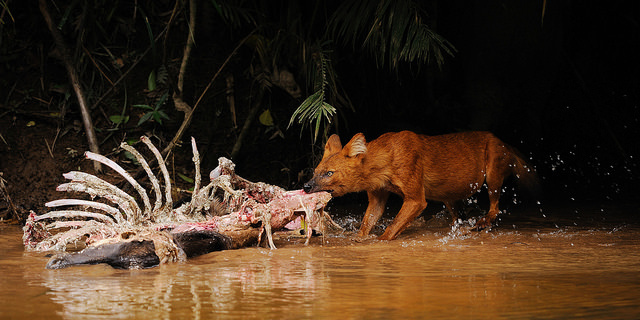 Animal species that can be found in most of the National Parks in Thailand are The Asian Elephant, The Asian Wild dog (Dhole) and the Leopard Cat. The best chances for seeing wild elephants are in Kui Buri National Park. This because of the large open spaces with grass land. Another website with extensive information about the National Parks and other protected areas in Thailand is www.thainationalparks.com. They also offer private tours to some of the National parks. 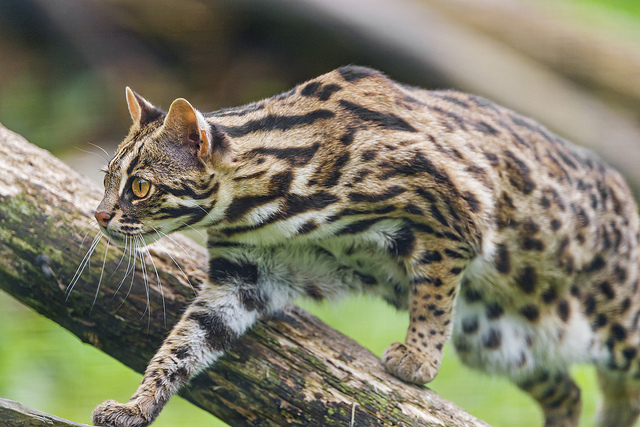 The Leopard cat. Source: Flickr.